A full-service provider of talent acquisition solutions took advantage of HubSpot functionality to build a microsite to promote ongoing thought leadership and to draw people to its booth at the most important annual event of the industry. Marketers come up with plenty of innovative, dynamic, creative ideas to promote their companies, attract leads who ideally turn into customers, and build thought leadership. Unfortunately, many of these great ideas go unrealized—their execution is too difficult, even for ones that are modest in scope. However, marketers do pull off some of those great ideas, often with a little help. Symphony Talent, a talent acquisition solutions provider, devised an ambitious webinar strategy to promote its attendance at an important industry event. Working with SmartBug Media, Symphony overcame logistical issues to turn its great idea into a successful—and award-winning—campaign. Symphony Talent is a leading provider in the talent acquisition space, featuring an end-to-end solution that includes recruitment marketing, candidate relationship management, and employee engagement. As an emerging player in the talent acquisition market, Symphony wanted to make a splash at the 2017 HR Technology Conference & Exposition—the premier tech event in the human capital industry. With HR Tech set for October, Symphony’s team began its planning in March 2017 and came up with an ambitious idea: create a series of on-demand webinars leading up to the event. The strategy blossomed from there to include Twitter chats and blog content. “We knew we needed to have a solid footprint at HR Tech, but the event was so far away,” says Sheridan Gaenger, Symphony Talent’s Director of Marketing. “How do we take advantage of all of the planning and trends and topics that people are starting to talk about now?” Symphony Talent’s goal was to create a forum in which prospects and influencers could engage in real conversation in a time of their choosing. In this way, Symphony could shape the larger story with its audience on what HR Tech would be about. The Symphony team was excited about the prospect of an exclusive campaign devoted toward promoting its thought leadership and creating buzz. However, two obstacles stood in the way. First, how could Symphony engage a talent acquisition community that is looking to be part of the HR Tech conversation but isn’t necessarily in the market to buy? Second, where would this digital content be hosted, and what subscription model would the content follow so that prospects and influencers could be informed of new content without burdening an already active Symphony team with extra busy work? SmartBug took the vision of what we wanted to accomplish and made it actionable." Symphony’s marketing team had enjoyed a successful relationship with SmartBug Media since early 2016. Led by strategist Jessica Vionas-Singer, SmartBug provided strategy, content, and HubSpot support to Symphony’s marketing efforts. Naturally, the Symphony team turned to Vionas-Singer for advice on how to make the ambitious HR Tech marketing plan a reality. 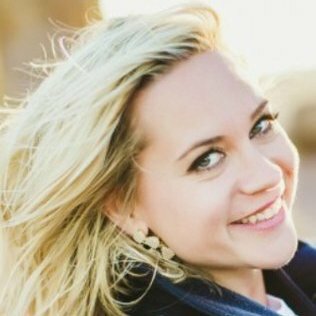 Vionas-Singer recommended creating a microsite—giving “The Road to HR Tech,” as the Symphony team had dubbed the campaign, its own home. The execution of this plan was as simple as creating a new, agnostic blog in HubSpot with its own unique web address. However, the benefits of this strategy were substantial. The breadth and quality of content the Symphony team created for The Road to HR Tech was impressive. Visitors could subscribe without hassle and watch the informal webinars at their leisure. Symphony could increase its thought leadership in the talent acquisition space and create excitement for its attendance at HR Tech—all while delivering some educational top-of-the-funnel content. And because the process was streamlined via HubSpot, Symphony and SmartBug weren’t saddled with additional, time-consuming steps such as manually creating and sending emails to subscribers. When HR Tech finally arrived, Symphony challenged subscribers to find Von Bank at the event and tell her one thing they would change about talent acquisition. Twenty-nine attendees took up the challenge and gave enlightening answers that will be the focus of a future trend report. Perhaps most importantly, The Road to HR Tech built thought leadership and created new opportunities for subscribers to learn more about Symphony Talent and its burgeoning place in the world of talent acquisition. And that road isn’t ending in 2017: Symphony plans to continue and expand The Road to HR Tech in 2018. The campaign wasn’t just a success for Symphony Talent—it was recognized for its excellence by the prestigious MarCom Awards, an international competition for marketing and communication professionals. The Road to HR Tech earned a platinum award in the microsite information category. This honor was just one of an astounding 36 that SmartBug Media and its clients won in the 2017 competition.